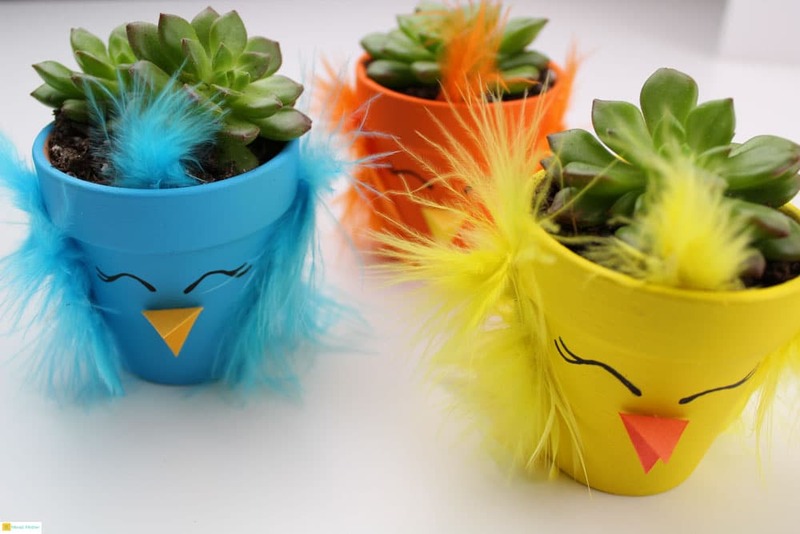 These cute Spring Chick Succulent Planters are the perfect spring craft project for kids. 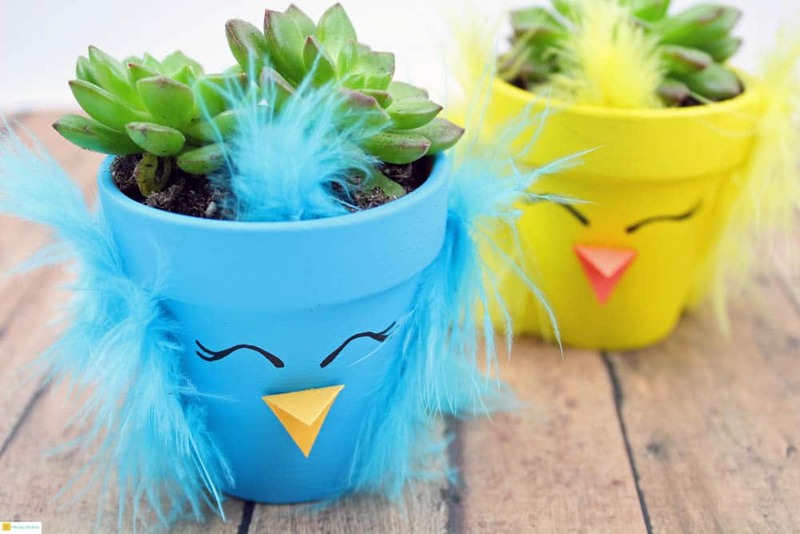 If you are looking for a non-chocolate Easter gift, they would also make a brilliant non-candy Easter present with the homemade touch that anyone would love to receive. 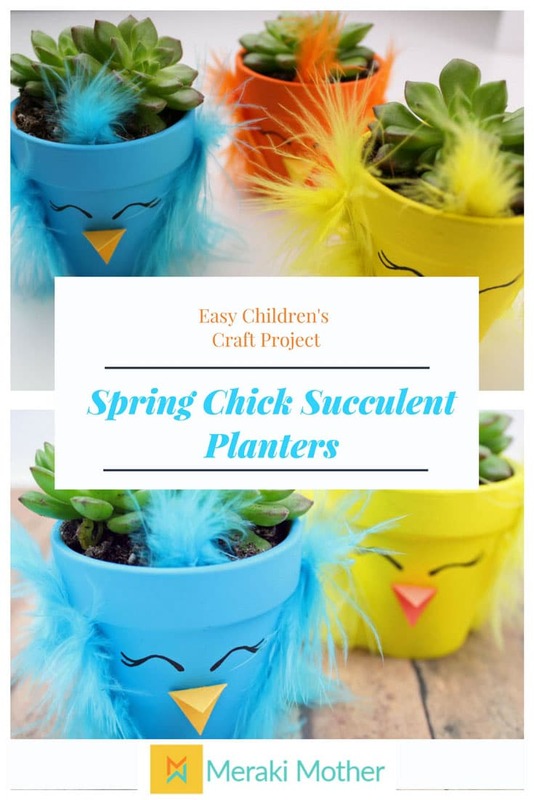 As a DIY succulent planter, we love that they are something both you and your child will get enjoyment out of for many months after the craft project is finished. Spring has sprung. 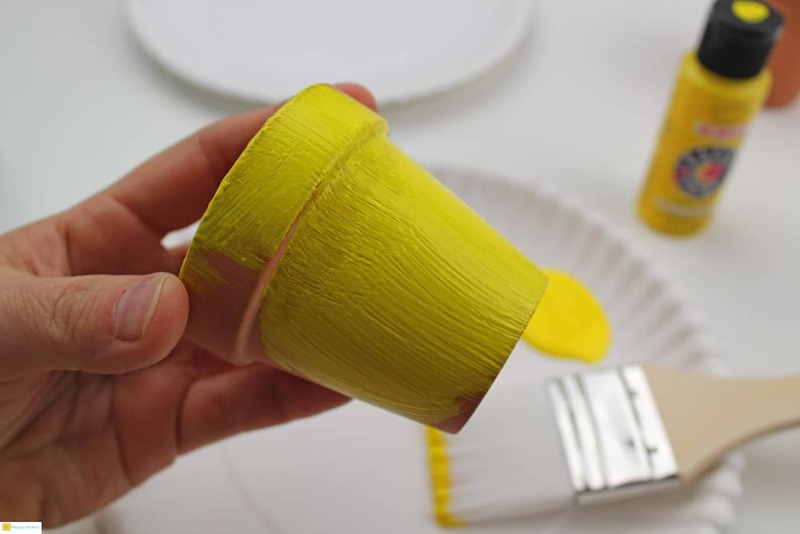 Read on to learn how to make this easy spring craft now. 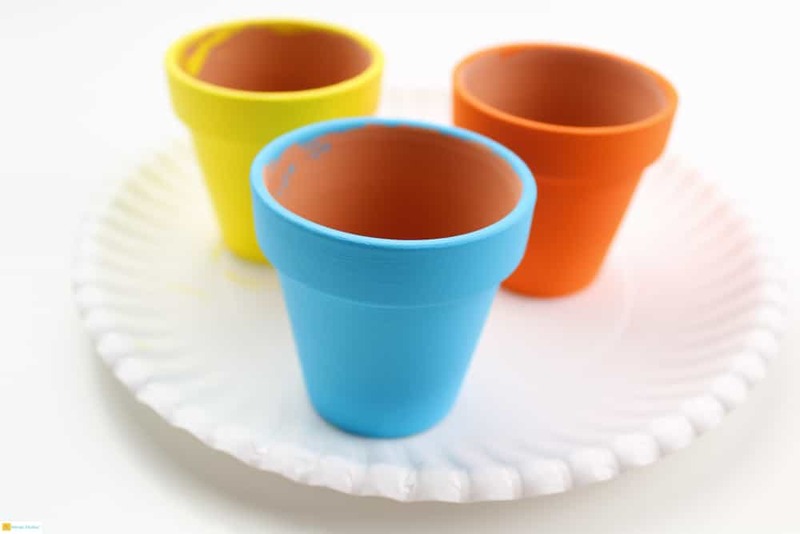 Paint the terracotta pots and allow them to dry completely. 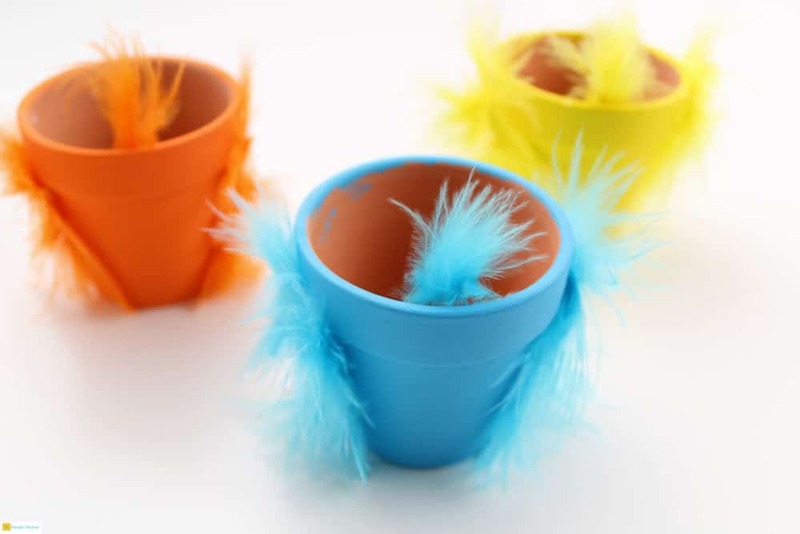 Glue feathers on the side of the terracotta pots and on the top rim of the pot. Cut a diamond shape from cardstock and fold it in half to create a bird beak. 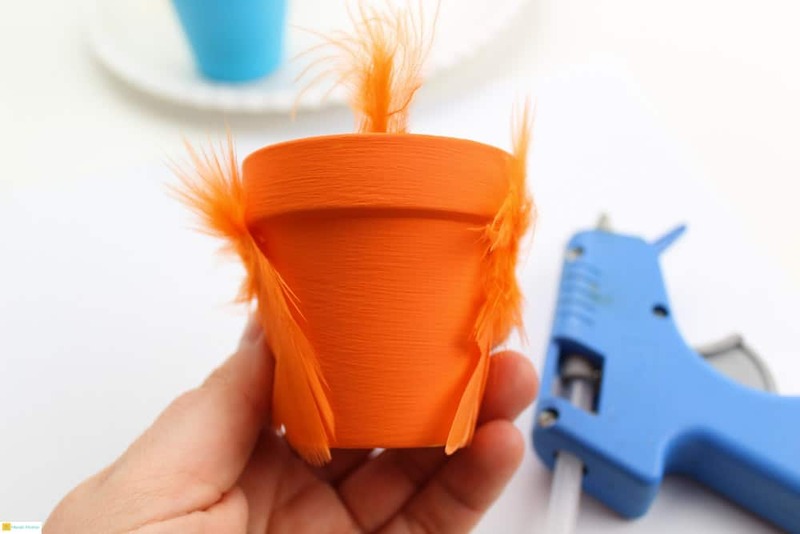 Glue the diamond shape (beak) onto the front of the pot. 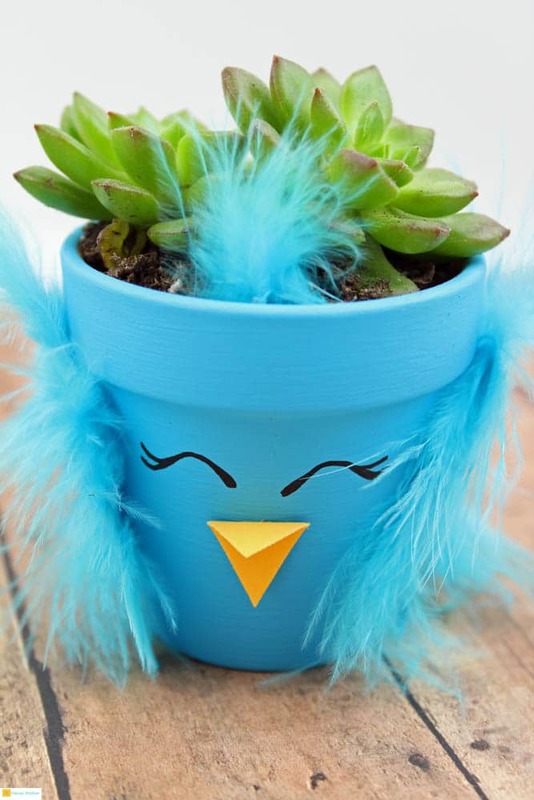 Carefully fill the terracotta pot with soil to avoid getting dirt in the feathers and then plant your succulents inside. 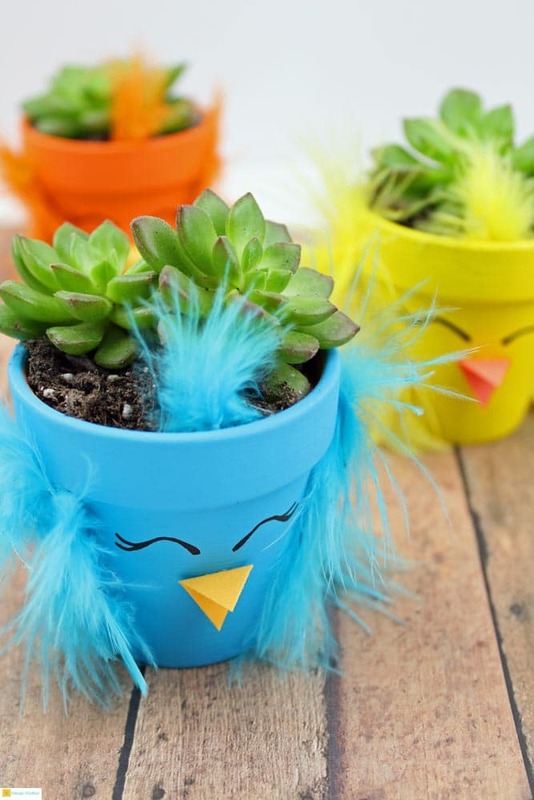 And your cute and easy Spring craft project is complete. 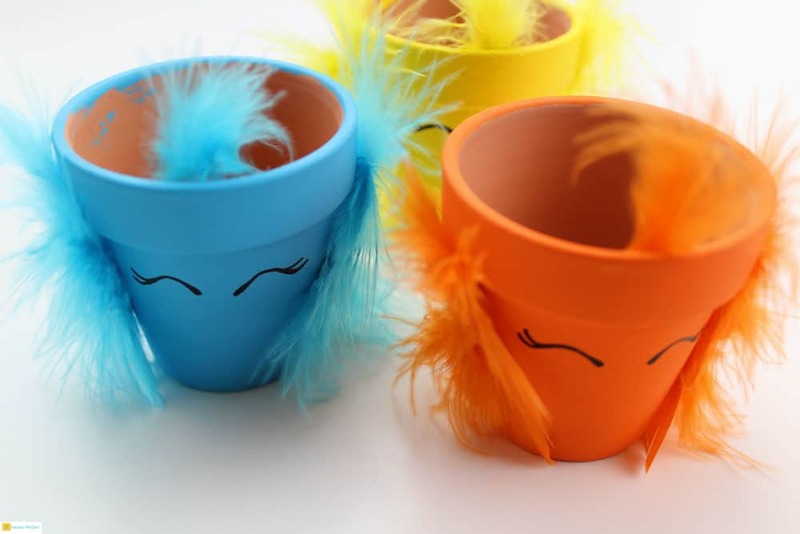 To water your plant, soak the soil each time it’s become completely dry. Allow excess water to drain out of the bottom. Do not allow the plant to soak in a pool of water all day or night. Once the soil dries out, you may soak the plant again. 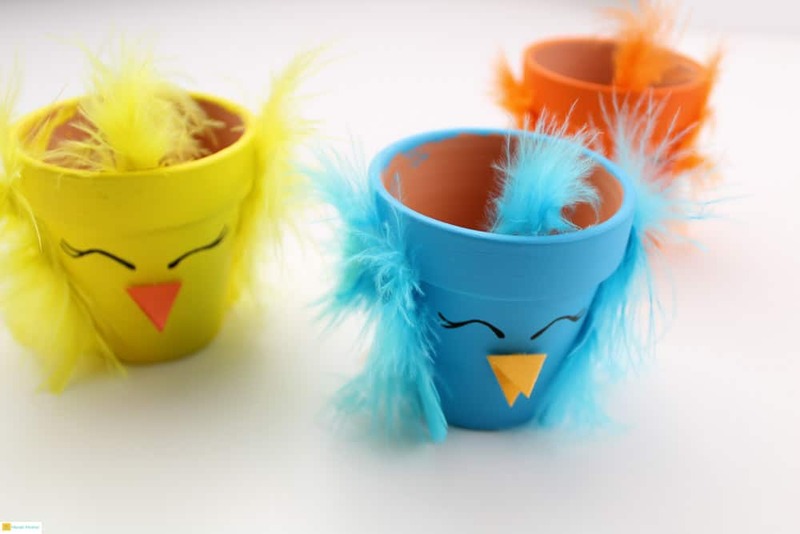 Looking for more fun Easter or Spring craft projects? 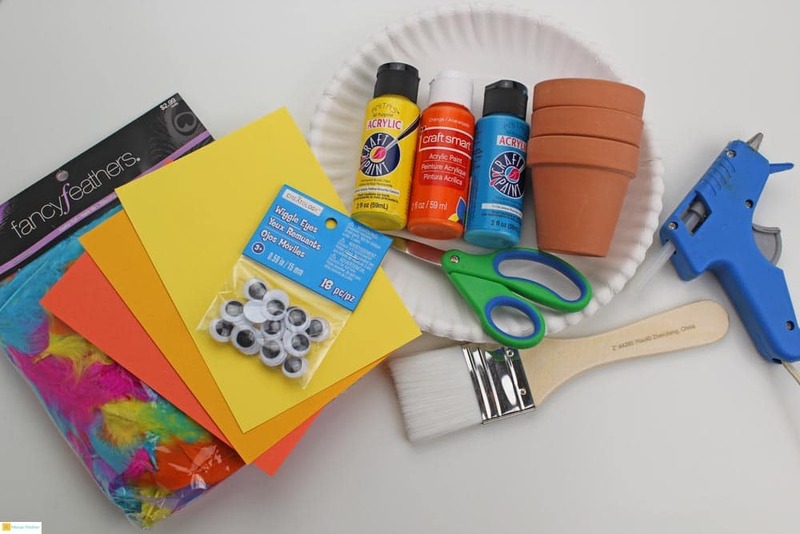 Click to discover our easy craft projects here.